While seemingly “neat” in concept, the practicality of having such a long focal length lens is minimal. The first issue is stabilization. Such a long, high magnification lens requires incredible stability. Otherwise, still images are blurry and video images are unwatchable due to camera shake. Simply pushing the shutter button moves the camera enough to be jarring to the image capture. If on a tripod, a slight breeze or the tiny movement of the ground when a car drives by can ruin any image being captured. In-camera stabilization (both mechanically and digitally) can mitigate *some* of this, but doesn’t come close to eliminating the problem. There’s a reason why large telescopes are often anchored in hundreds of cubic yards of concrete. Second is the issue of air clarity. Shooting through hundreds (or thousands) of feet of air softens the focus and color saturation of any image due to the particulate matter in our atmosphere. This is at its worst near the ground. Just because you have a lens that can reach an equivalent focal length of 3000mm doesn’t mean you can shoot decent images with it. 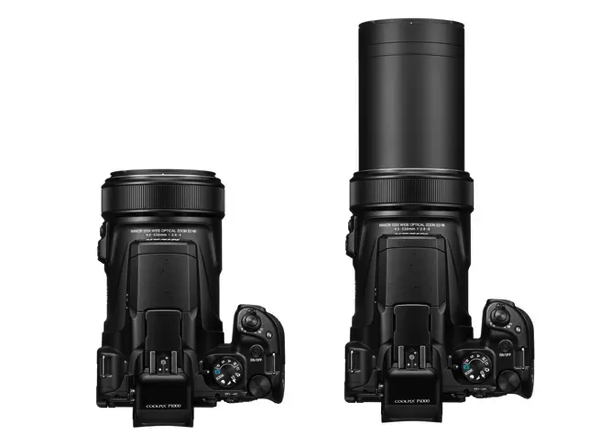 Five hundred to 600mm is generally the limit for being able to capture sharp and color accurate images with traditional cameras, because using longer focal lengths generally means you’re shooting through too much air. Pro photographers know it’s far better to get closer to your subject than it is to use a longer focal length, particularly when using super-telephotos (400mm and longer). 3000mm is significant overkill, and unlikely to be useful for any but the most unique shooting situations.